Within the framework of VPPC2010, technical visits will be organized on Friday August the 3rd. The VAL 206 (Véhicule Automatique Léger / Light Automatic Vehicle) introduced by MATRA transportation in LILLE in 1983 is a fully automated driverless light rail that is monitored from an operation control center. 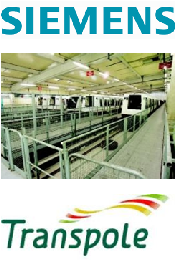 Then SIEMENS Transportation Systems has continuously upgraded and perfected the VAL system, with regular improvements in both comfort and safety (VAL 208, VAL 258, etc) supplies now also OrlyVal, Toulouse, Chicago, Taipeh, Rennes, Turin, Charles-De-Gaule Paris Airport. “The system features short train interval times (less than a minute), speeds of up to 80 kilometers per hour, and fast acceleration with short braking phases. Flexible division of the cars’ interior expands the available space and thereby offers increased passenger capacity. This can be readily adapted to individual customer requirements, enabling the system to be flexibly deployed throughout the world” (text from STS). The departure will be at 13h45 from Conference Center together. The travel will be done by subway from Lille Grand Palais station (line 2) to Quatre Canton station (line 1) and then by foot (5-10’) up to the Maintenance site. The visit will begin at about 14h15 up to 15h45 for a return to the Conference Center at 16h15. At Douai 45 minutes far from Lille, Renault Car Factory named Georges Besse, is one of Renault's main bodywork assembly plants, by virtue of its workforce and its production capacities. Car produced in Douai are named Mégane II (hatch, coupé-cabriolet) and Scénic. 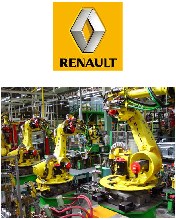 They represent about 7% of the 2,3 Millions of cars sold by Renault all over the world in 2009. The buildings occupy a total area of 350 ha, of which 115 ha are covered and 45 ha occupied by buildings. Factory has obtained ISO 14001 certification in 1999 and has been renewed every year following audits. This clearly reflects the commitment made by the Georges Besse plant to environmental protection. The ISO 14001 standard is based on two fundamental principles: regulatory compliance and continuous improvement. The site's environmental policy is focused on analysis and information, so that it can certify the application of sound ecological practices at any time. As example, 100% of its waste wax is recovered and re-used in the industrial process, thus generating environmental gains and cost savings. During visit, you will see sheetmetalworking and assembly areas. More details will be given later. The departure is at 13h30 on Friday the 3rd by bus from the Conference Center. Because of tight schedule, a light special lunch will be organized at 12h45 till 13h25 at the Conference Center in order to respect the time departure at 13h30.